Or just stay around so we can enjoy you for a bit longer. We had a lot of rain last week and The Girl had a great time out in it. 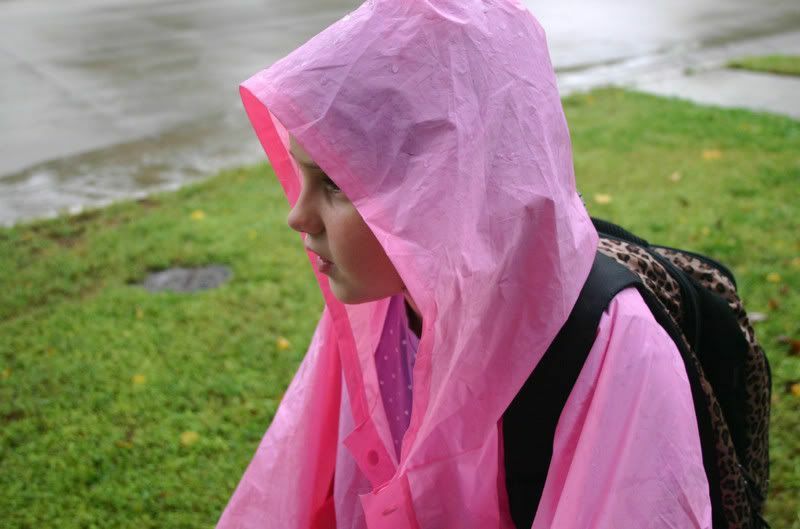 I'm not sure why she wore her backpack over her rain poncho but whatever. She's 8. She was a bit too prissy to jump in the puddles. Hey, Beki, thanks for coming by to see me so often! I appreciate it & had to come over & look at your white pumpkins. I love them! What great pictures! Love that second one! I've always wanted a poncho. I never had one. Maybe this year I'll get one just for fun. Haha! Backpack over a poncho. Love it. Your photos are amazing. Congrats on the Etsy ad on the back of the magazine! i'm a big fan of playing in the rain. Love these pics and love having the rain:)) Adorable! fantastic photos! 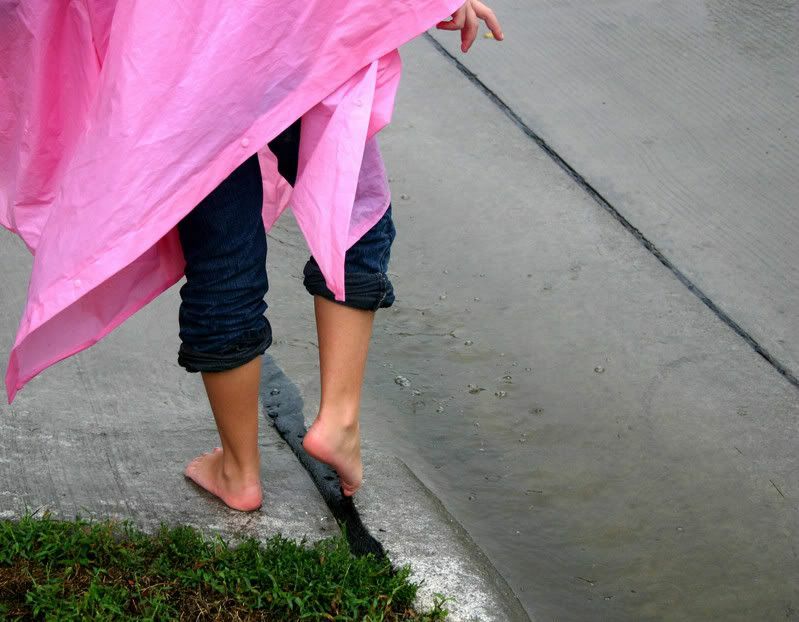 I love that she's walking barefoot but won't step in the puddle! How cute..She is adorable..You take such wonderful pictures. Did my Fingerprint today..Thanks for starting this, such a positive idea..
Beki...Beautiful photos of a beautiful little girl! She's precious! GREAT PICTURES!!! I love these! Thanks for stopping by today . . . Thanks for being such a great friend too! You encourage me and make me smile! Watch out for the trolls!